Heavily used by British gays in the 1920s because of anti-homosexual laws, efforts are being made to preserve an entirely queer-based slang. With words like “shade,” “tea,” and “kiki” prominent in queer culture, sometimes it feels like it’s impossible for straights to understand gays…literally. But once upon a time, that was exactly what British gays wanted. Called Polari, the gay slang is composed of back slang, circus slang, and broken Yiddish and Italian. The "secret language" was used heavily by gays in the circus, navy, and theater, and arose out of the need to discuss gay matters under a clever guise, due to homosexual acts being illegal in Britain until the passage of the Sexual Offenses Act in 1967. Some Polari words still exist in modern gay slang. Words like camp, trade, and butch are all Polari slang. Just as much as Round the Horne advanced Polari’s popularity, it also contributed to its demise. As gays began to fight for acceptance and rights, they made a concentrated effort to remove the British society’s one-dimensional view of all gays as being overly campy and effeminate. Consequently, Polari was slowly discarded and forgotten about. But today, British linguists and queer activists are trying their hardest to preserve and promote the slang. 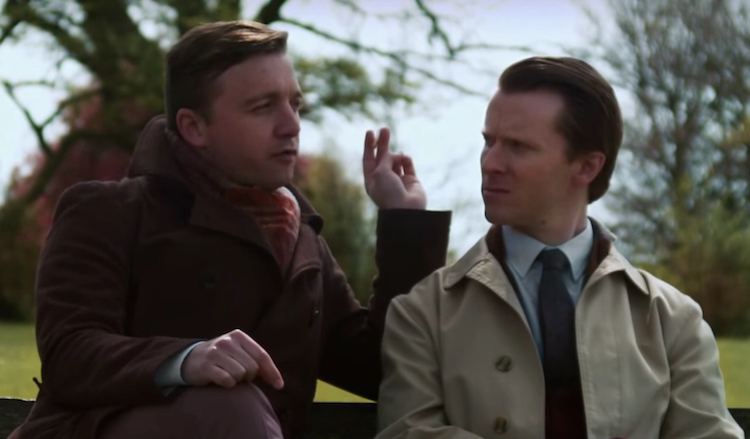 A 2015 short film featuring two men in 1962 meeting on a bench and engaging in a Polari conversation gained fame on YouTube. An app, Polari Mission, was launched, which features a Polari dictionary and the King James Version of the Bible completely translated into Polari. Check it out here. The Atlas Obscura points out, Polari was a great self-performative outlet for British gays to not only express themselves but also easily identify and connet with fellow memebers of the queer community. Perhaps us fruits should all meet up together and create a 2016 Polari. Sound dolly?